Floor Model Golf Simulator for Sale - Play, Inc.
Free installation within Omaha metro. 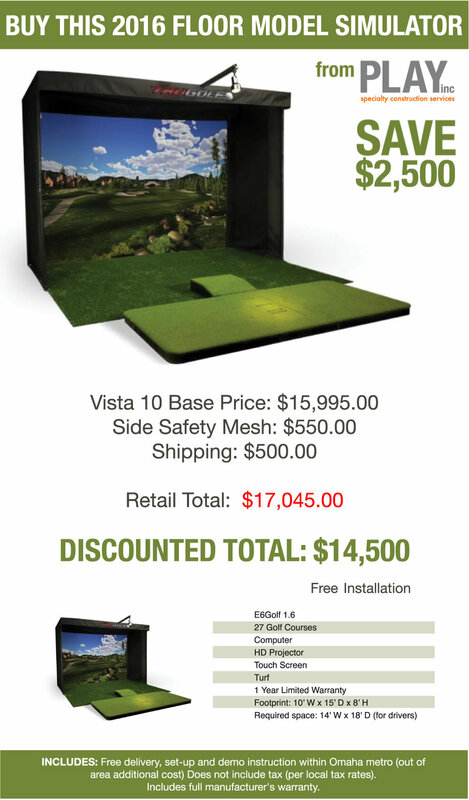 I'd like to place 50% deposit to reserve this incredible deal on a golf simulator for my home. This is a great deal, but I'd like to take it for a test run first. Let’s schedule my private demo time.